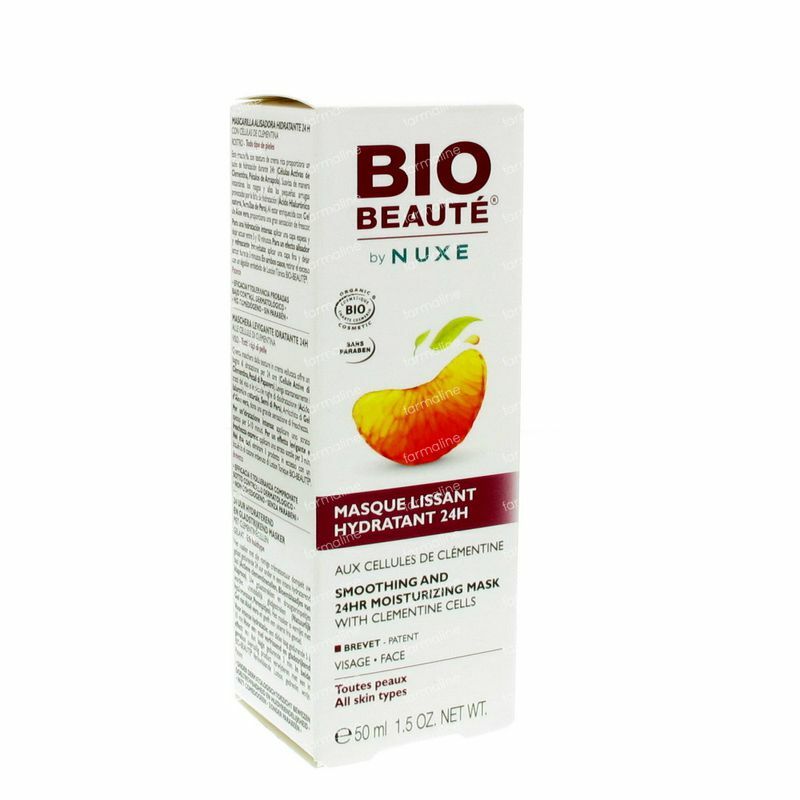 Bio Beauté By Nuxe Smoothing And 24h Moisturizing Mask With Clementine Cells 50 ml order online. vivacious texture that providesahydration24hlongthanks to the activeclementinecells andthanks to organicpetals of thepoppiesbyforce on thefourfactors ofhydration.The skin isfullerthanks to thehydratingactionof Aloe Veragel.It equalizesthedirectlinesofdehydrationdue toahigh concentrationof hyaluronic acidofnaturaloriginandpearseedsextract.Thecoloris bright andthelines are equipped.Hydratedfor 24 hours,the skin regainscomfort,softnessandflexibility. 24 hourslonghydration andsmoothingaction for allskintypes. - For an intense moisturizing treatment, apply the mask once or twice a week in a thick layer for 5 to 10 minutes. 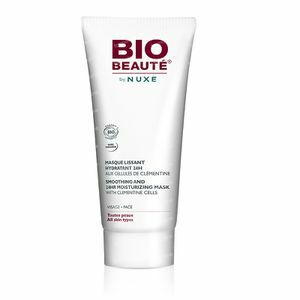 Remove the excess with a cotton pad soaked in BIO-BEAUTÉ® by NUXE Toning Lotion with Orange Water. - For an express smoothing and refreshing effect, apply the mask once or twice a week in a thin layer for 3 minutes. 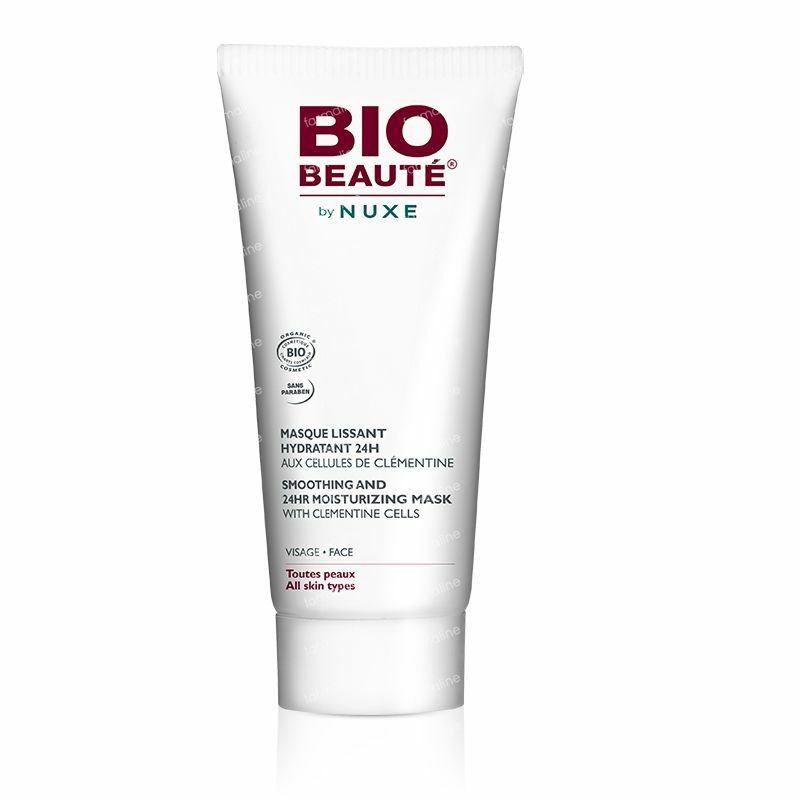 Remove the excess with a cotton pad soaked in BIO-BEAUTÉ® by NUXE Toning Lotion with Orange Water. 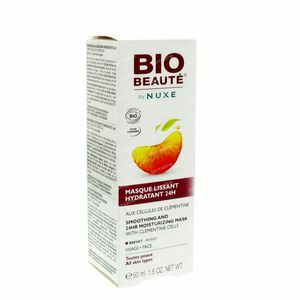 AQUA, ARGANIA SPINOSA KERNEL OIL*, LIPPIA CITRIDORA LEAF EXTRACT*, LAUROYL LYSINE, DICAPRYLYL ETHER, GLYCERIN, C12-16 ALCOHOLIS, GLYCERYL STEARATE CITRATE, HEXYLDECANOL, HEXYLDECYL LAURATE, PRUNUS ARMENIACE KERNEL OIL, CITRUS AURANTUM DULCILS (ORANGE) PEEL OIL, COCO NUCIFERA (COCONUT) OIL, HYDROGENATED COCONUT OIL, OLEIL/LINOLEIC/LINOLENIC POLYGLYCERIDES, OLUS OIL§/VEGETABLE OIL, CAPRYLIC/CAPTIC TRIGLYCERIDE, BENZYL ALCOHOL, , HYDROGENATED LECITHIN, PALMITIC ACID, XANTHAN GUM, HYDROGENATED APRICOT KERNEL OIL*, CAPRYOYL GLYCINE, HYDROGENATED VEGETABLE OIL, ORYZA SATIVA CERA/ORYZA SATIVA (RICE) BRAN WAX, TOCOPHEROL, SODIUM HYDROXIDE, CITRIC ACID, HELIANTHUS ANNUUS (SUNFLOWER) SEED OIL, CITRUS CLEMENTINA LEAF CELL EXTRACT, PHYTIC ACID, BETA-CAROPHYLLENE, DEHYDROACETIC ACID, PAPAVER RHOEAS PETAL EXTRACT*, ENTHEMIS NOBILIS FLOWER OIL, VANILLA PLANIFOLIA FRUIT EXTRACT, PYRUS COMMUNIS (PEAR) SEED EXTRACT, GLYCINE SIJA (SOYBEAN) STEROLIS, PRUNUS AMYGDALUS AMARA (BITTER ALMOND) KERNEL OIL, LIMONENE, LINALOOL, CITRAL.